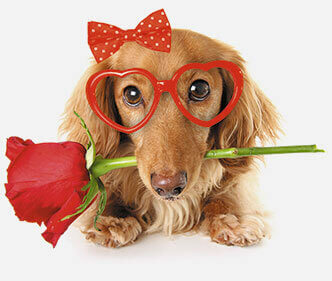 Are you ready to love new customers? Your prospects need to bite. They need to be entertained and kept interested. Our Promo Flyers are now up to 65% off. Why not shape them to add intrigue? Cut-out any simple shape you can think of – not just standard templates. 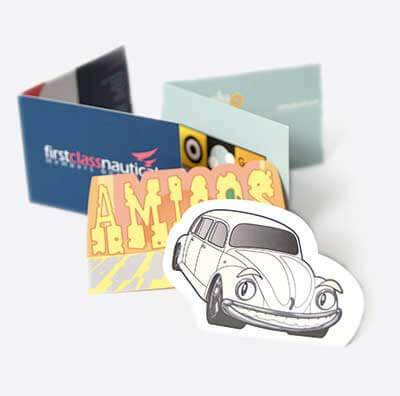 Or add a pop-out credit card, easy-fold crease or tear-off perforation. Order today or get in touch with your nearest studio for design ideas. Were you one of those kids that loved origami? Well it’s time to dust off your origami black belt and get cutting and engage in some creative paper engineering. 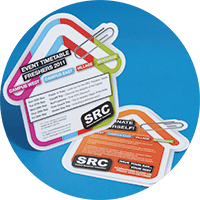 Bespoke cut-out shapes are normally an expensive addition to your marketing campaign. Not any more. With printing.com’s revolutionary techniques, you’ll pay a fraction of the usual costs and make your marketing stand out from the clutter. You’ve only got a few seconds to grab attention. There’s no substitute for a relevant, well-written headline, but you can increase your odds by making your mailer an interesting shape. People notice difference. Selling sports goods? Make your mailer the shape of a football. Coffee Shop? 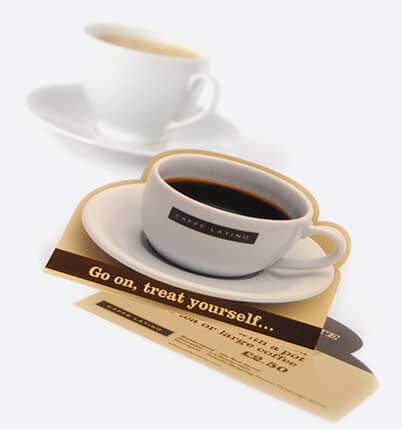 How about a flyer in the shape of a coffee cup? The most important thing to decide is what’s your message? What are you trying to tell your recipient? Why are you contacting them? Say it out loud. Right now. (If you’re reading this on the bus, sorry if people are looking at you funny). OK. Assuming you’ve managed to say something, did you waffle? Let’s try again. This time, try to compress your “pitch” into five seconds. If you can’t verbalise it in five seconds, you’ll struggle to keep your reader’s attention. Keep working on this until you’re happy with the reason for creating the marketing item. If you’re completely stuck, give your local printing.com store a call – they can really help with this part. You’ve got the message. It’s short. It’s punchy. It leaves no-one in any doubt as to what you’re trying to tell them. Great. Now think creatively. How can you add impact to this message with a shape? Are you trying to make people wealthier? Make your mailer the shape of an upwards arrow. Estate Agent? How about a house-shaped flyer? Dentist? Wow. 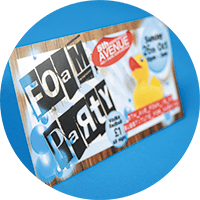 When did you last see a tooth-shaped flyer? What finish will your item have? Does it need to be written on? Should it feel heavy? Shiny or matt? There are lots of materials to choose from 100gsm to 400gsm. How big will your item be? You could go as small as a business card or as big as a poster. Decide what you want your finished size to be, then look in the printing.com buying guide. You’ll find lots of different sizes – simply choose the material you’d like, then check out the fixed prices. Find the size of rectangle that fits your design (maybe A5 or A3) and Bob’s your auntie. The small print: We don’t build every option into our prices – we think it’s best you choose what you need – so we haven’t included file checking or artwork (which we’d love to do for you), carriage (you can pick up free from your local studio) or VAT. Price point may not represent products in photos.